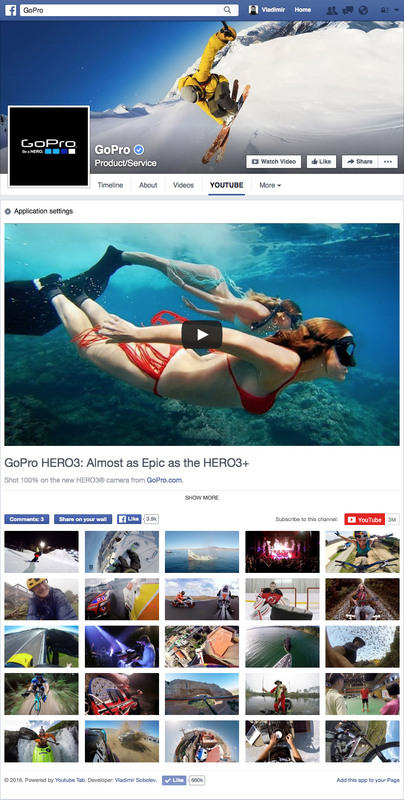 Expand your viewership by bringing your best videos to your Facebook page. This helpful and easy-to-use app allows you to add YouTube videos to a tab on your Facebook page, where they will be displayed in a simple, thumbnail-style layout. Users will enjoy your videos in 720p HD playback by default, within a native HTML5 YouTube player, and will be able to browse videos using hashtags, playlists, channels and usernames, in addition to commenting on and Liking each video within Facebook or Youtube comments. Full size Facebook share feature available for Premium subscibers.